Dr. Govind is expert in the Internet Governance space and has served as the CEO of the National Internet Exchange of India (NIXI), a section 25 company set up under Indian Companies Act as a public-private partnership towards the promotion of the Internet in the country. 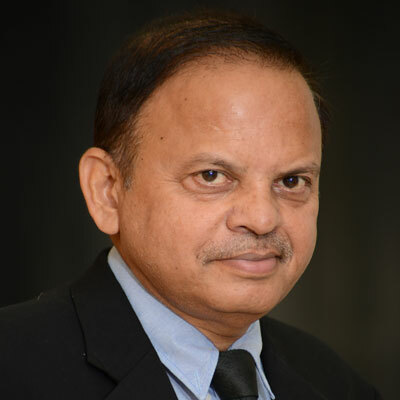 Formerly, he was a Senior Director, heading the E-Infrastructure & Internet Governance areas in the Department of Electronics and Information Technology, Government of India.Dr. Govind has held key posts in the Department of IT, where he has more than 26 years' experience in various sectors of Information Technology, including Internet Governance, Broadband Internet, E-infrastructure, Inter-Ministerial Group coordination for Policy Development and crystallising the India-stance in global Internet strategy.Dr Govind played a key role in successfully establishing Internet Exchange Points in India. He also established the .IN registry and National Internet Registry for the allocation of IPv4 and IPv6 addresses in the country. He is involved in broadband proliferation, Internet technologies, promotion of domain names in local languages and multistakeholder advocacy in the Internet Governance field.Dr Govind has a doctoral thesis in Plasma Physics and Electromagnetic Wave Propagation from the Indian Institute of Technology (IIT), Delhi, India, and has to his credit, several technical research publications and reports in international and national journals. Guest Post: Internet content blocking and filtering is a discussion that the technical community need to contribute to as part of the multistakeholder model. Guest Post: The challenges around whois accuracy was the topic of discussion at the APNIC 45 Cooperation SIG.